I have fallen in love with Charlotte Tilbury products! I have seen them all over Instagram so I had to treat myself to something. My local House of Fraser store has a massive Charlotte Tilbury counter- so I was in my element but after looking I chose the Secret Salma matte lipstick. First of all the packaging is beautiful!! It’s rose gold and there is a lip print on the lipstick! The colour itself is a deep dusty rose pink and has a matte finish. 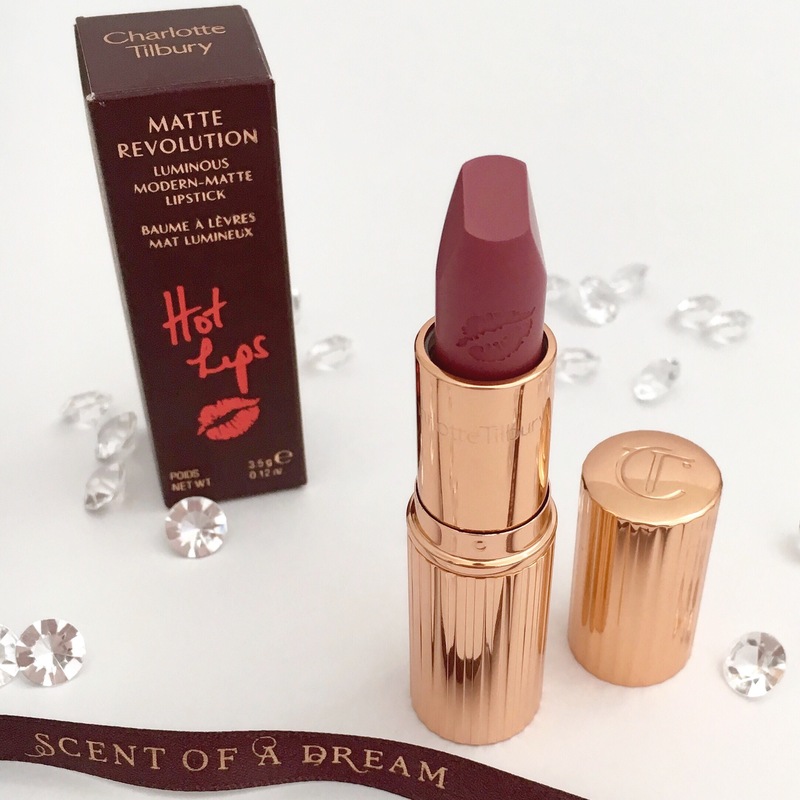 It is so creamy and doesn’t feel drying on the lips. I think it goes perfectly with any makeup look and it’s my new favourite along with MAC Whirl. I love dusty pink shades and this will be really nice for spring. The next lipstick I would like to get from Charlotte Tilbury is Kim KW. I always think it is best to use a lip scrub before you apply matte lipstick as I like to apply it to a smooth base. The lip scrub I use is the LUSH sugar scrub. Have you tried any Charlotte Tilbury products? If so, what are your favourites? I’ve tested Very Victoria & Amazing Grace CT lipsticks and they are 100% going to be my next purchases! I have totally fallen in love with Charlotte Tilbury too! Her bronzer/highlighter due is amazing and I love her glosses. What a gorgeous shade !! This is such a gorgeous lipstick. I placed an order online for one of their lipstick as well as the airbrush powder and I can’t wait to get it and try them out. It will be my first trying the brand 😍. Wow, it looks incredible! I’ve heard a lot of good for Charlotte Tilbury!